The highly anticipated Despicable Me 3 film hit cinema screens on Friday 30th June and we headed down to our local cinema on the opening weekend to check out the film in 3D. 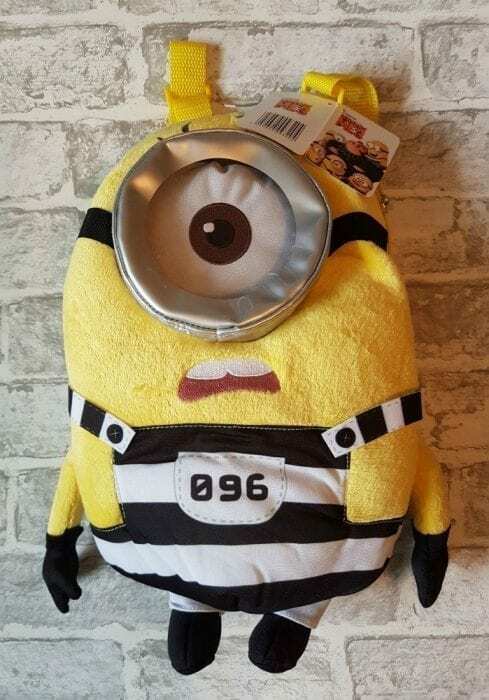 Thanks to the lovely people at Posh Paws, we had our own tribe of officially licensed Despicable Me 3 Toys to take along to watch the film with us… along with some yummy Minions Haribo and very apt Minions tissues due to a cold! Mini Me was beside herself when she un-boxed the toys which are all related to the film, featuring much loved characters and even a new character. On our film visit we took along a Talking Agnes Soft Toy, Talking Mel Soft Toy, a cuddly Mel and new character Lucky The Uni-goat soft cuddly toy – with the help of a soft and fluffy Stuart backpack and gorgeous and sparkly unicorn backpack. As expected, Mini Me had her favourite toy earmarked straight away – Lucky the Uni-goat is unbelievably cute and the perfect cuddle buddy. I was hoping that I could smuggle him away as mine, however no such luck as she takes him everywhere! The toys are ridiculously cute and well made, they are certainly withstanding major usage and many cuddles at the moment! They are definitely in keeping with the film, but I really do not want to spoil it for you! Despicable Me 3 is the 3rd animated film in the Despicable Me series and is aimed at children, though I can guarantee adults will love it just as much! Featuring much loved characters including Gru (the voice of Steve Carell), the gang of Minions including Mel and Stuart, ‘The Girl’s’ and several new characters who you are going to love! Wait until you meet Lucky… there was a collective ‘awwwww’ in the cinema when the new character was introduced, but you will have to go along and watch the film to find out why! Will you be taking a #DespicableMe3 toy with you when you watch the film? They look brilliant and she’s incredibly happy with them, that’s for sure! !